Alaska is a cold place to live until love blossoms. Elizabeth Robinson travels by dog sled to help her family mind the store in Fairbanks, Alaska. She wants to pursue her drawing and painting, but women artists are rare in 1906, and flood, fire, and a death in the family force her to take charge at home at age seventeen. James Garrett comes north to help his uncle at a nearby gold claim. An awkward eighteen-year-old who is more at home with machines than people, he becomes a man as he falls in love with Elizabeth. When a discovery about her benefactor, the founder of the town, threatens their future, Elizabeth and James find that together they can overcome any obstacle. Lynn Lovegreen was lucky enough to grow up in Alaska. Her family was stationed there when she was six, and they fell in love with the place. Alaska’s been home ever since. She’s always felt the power of words; she taught English for 20 years before retiring to make more time for writing. When not writing, she loves to spend time with family and friends, read, travel, and shoot at targets with her cowboy action shooting club, the Alaska 49ers. Her young adult historical romances are set in the Alaska Gold Rush, a great time for drama, romance, and independent characters who made their own way in the world. 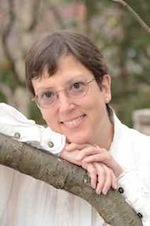 See her website at www.lynnlovegreen.com. You can also find her on Facebook and Pinterest. Ms. Lovegreen brings us another glimpse into Alaska during the early 1900s. This delightful story brings together Elizabeth and James during their formative years. Elizabeth is a budding artist and strives to have her family, especially her father see her work as more than a frivolous hobby. As the family moves to Fairbanks where her father will manage a store, she and her sister, Victoria, are in a sledding accident. No one is harmed, but she meets James. He’s bringing a boiler to his uncle where they’ll work on a claim together. James wants to return to the states and become an engineer. During the following year she sees James when he comes in for supplies. She is weighed down by the responsibilities given to her during flood, fire, and the tragic death of her mother. But her budding love for James is unfairly cut short by unfair ridicule. They both have dreams, but are they worth pursuing if they cannot be together? Ms. Lovegreen keeps the reader involved in the story and historical knowledge that is brought in as well as the visits from characters in her other novels set in the Alaskan Frontier make for an enjoyable read. Elizabeth arrives in Fairbanks in 1906 during the days of the Alaskan Gold Rush. As with all women of her time, she's expected to act in a certain way. While this book contains a few historical people and events, the main characters are fictional. I found it fascinating to read about the hardships in Alaska during those days and how people flourished through them. I wondered about a few things in the book. Elizabeth hails from Seattle but reaches Fairbanks by dog sled and manages the dog team very well. Where did she learn to do that? After a claim jumper defies the claim owner, there is a shooting and a man died. What happened to the shooter? I liked the ending, but wondered how Elizabeth and James really got together. The ending was a bit hasty. I also wondered why her patron, who was a felon, would be a nice guy and offer to pay for her art tuition. Having revealed my pondering points, let me quickly say this. Any book that makes me think, speculate, or want more of the story is a good book. 5.0 out of 5 starsI thought this book was delightful! I thought this book was delightful. From the intriguing opening sentence, "Elizabeth didn't see it until it was too late," this story held me captive. I enjoyed immersing myself in the early 1900's and learning more about the Alaskan gold rush. I grew to love Elizabeth, and I rooted for her as she battled fires, floods, and personal tragedies. I watched her grow into a confident young woman who not only helped her family, but who also learned that it was okay to follow her dreams. Sometimes love shows up when you least expected it. Elizabeth is a well-rounded protagonist who sprung to life in my imagination before the first chapter had ended. Not only did her personality flaws help me to get to know her better, they also provided a lot of fodder for plot development later on. This is one of the things I look for when deciding what to read next, so I was pleased to see how much time had been spent on describing what Elizabeth’s personality is like and who she is as a individual. The romance moved so quickly that I had trouble understanding how Elizabeth transitioned from being annoyed by James to finding him handsome and mysterious. They do appear to have a lot in common, but it took a long time for me to see any chemistry between them. Holding off on the romantic elements for a little longer would have given me a better chance to understand why these characters should be together. All of the descriptions of food in this story made my mouth water. Elizabeth and her family don’t have access to as many different types of food as we do in the twenty-first century, but they’ve certainly learned how to make what they can grow or barter for in Alaska into some unforgettable meals. I was especially intrigued by chess pie. It isn’t something I’d ever heard of before, but it sure sounded delicious! 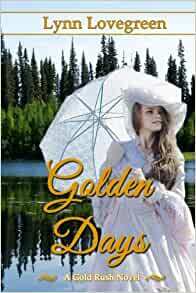 I’d recommend Golden Days to anyone in the mood for a sweet, young adult romance. This is a sweet story, and for those who like historical fiction there is plenty of facts about Fairbanks in the early 1900s to pique your interest. The author kept mine all the way through and there was plenty of tension and suspense as she wove fiction into true historical events and people. The ending seemed a bit rushed...that is my only complaint. I would have liked to have seen what happened between the last chapter and the epilogue...but maybe that's another novella yet to be written. Overall, an excellent read and peek at the life and times of Alaska at the turn of the century. Will definite read her next one. 5.0 out of 5 starsEngaging and heartwarning YA book! An Alaskan tale to brighten your winter reading! This coming of age story is delightful and really evokes a feeling of Alaska and it's challenges for a young couple in the early 1900's. There is struggle and heartache, adventure and the physical spectacle of Alaska's landscape as a wonderful backdrop for this engaging YA story. Enjoy!! Lovegreen has written a beautiful tale set in Alaska's early days. The characters are loving and warm and the story is perfect for a day of cozy reading. I'd definitely read more from this emerging author who lives in Alaska and appreciates its mystique.